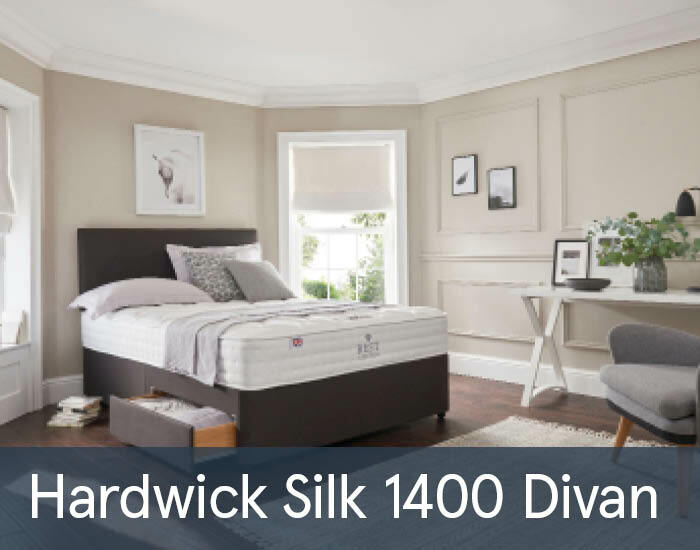 The Hardwick Silk 1400 range features the finest in British manufacturing, so you can enjoy quality sleep for years to come. This mattress comes with a firmer comfort rating, so it’s orthopaedic in nature and will help alleviate back problems and support those of a larger stature. 1400 individual pocket springs respond to the movement of your body through the night to provide outstanding support and comfort that’s personal to you. Natural fillings soothingly cushion the body and regulate your temperature to keep you cooler through the night. The range is available in Single, Double, King and Super King Size and with different storage options.